During Taiwan’s long history, prehistoric people, indigenous tribes, Dutch, Spanish, Japanese, and Han Chinese have successively populated Taiwan, creating a varied culture and developing different local customs and traditions along the way. When visiting Taiwan, you will be able to come in touch with all aspects of this beautiful country's multifaceted cultures. 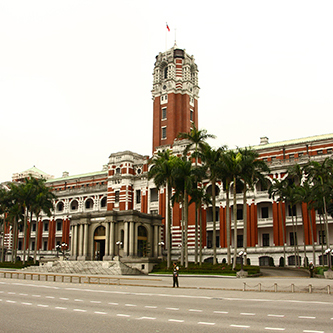 Because of its unique historical and geographical background, Taiwan has a rich and varied culture composed of elements taken from many different ethnic groups, including the indigenous peoples, the Dutch, the Spanish, the Japanese, the Han Chinese (bringing traditions from China and creating their own in Taiwan), as well as more recently the Americans. Consequently, the customs and traditions that make up Taiwan's culture as we know it today are extremely vivid and mix different cultures. And not only that; the people who previously inhabited Taiwan also left many cultural remnants that can still be found around the island today, including traditional architecture, relics of prehistoric civilizations, folk art, and traditions. Taiwan's history goes as far back as two, three, even tens of thousands of years. According to archeologists, prehistoric people were the first to have lived in Taiwan, proof of which can be found in archaeological dig and sites in Taitung and elsewhere. The indigenous people who first came to Taiwan so long ago form the northernmost branch of the Austronesia culture group. The indigenous people who remain today are divided into 16 tribes; the Amis, Atayal, Paiwan, Bunun, Puyuma, Rukai, Tsou, Saisiyat, Yami (or Tao), Thao, Kavalan, Truku, Sakizaya, and the Sediq, the Kanakanavu and the Hla'alua. Over the years, other tribes, especially flatland groups, increasingly came in contact with the Han Chinese, their daily lives becoming more and more integrated, and by now most have assimilated with the Chinese. The other tribes, however, have also managed to preserve some of their traditional customs, tribal structures and architecture, and continue to keep the tribal spirit alive through the practice of traditional worship. 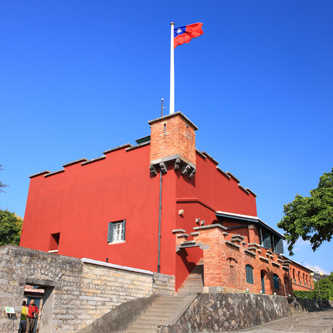 Traces left by the Dutch, Spanish, and Japanese include Fort San Domingo in Tamsui and the remains of Anping Old Fort (Fort Zeelandia) in Tainan along with many other buildings such as the Presidential Office Building, the Legislative Yuan and Control Yuan buildings, various schools, and other large structures that now house governmental institutions, assembly halls etc., all testifying to the importation of foreign cultures into Taiwan. Nevertheless, the most important part in Taiwan's cultural history was played by the Han Chinese who brought with them traditional customs from China and created new ones in Taiwan. Whether they were southern Fujianese who immigrated over the centuries, the Chinese who came in the late 1940s, or Hakkas, they created their own cultures, traces of which can still be found all over Taiwan. 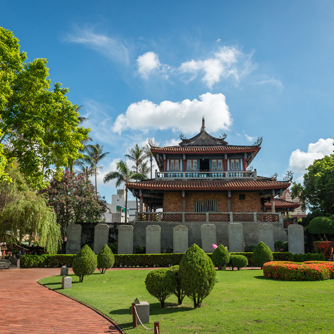 In Taipei, Tainan, and Lugang, for example, old cities, streets, and temples still breathe the atmosphere of times long gone, while traces of wars, settlements and different cultures can even be found on the off-shore islands of Kinmen, Matsu and Penghu. Next to these cultural remnants, Taiwan also offers a unique collection of art expression, such as Sanyi's wooden carvings, Yingge's pottery, and Kinmen's ceramics. Another important aspect of culture are the many holidays and festivals that the Taiwanese celebrate so passionately and devotedly, such as the Chinese New Year, Mid-Autumn Festival, Tomb Sweeping Festival, Ghost Festival, and temple festivals. By watching or even participating in these celebrations, one can get a better understanding of the cultural and historical background of the Taiwanese people. We would like to invite you to come to Taiwan, travel through time and go on a journey of past civilizations, relive the past, and experience these cultural treasures.